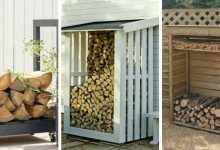 Instead of killing your tree stump which is both time and money consuming, try to transform it into a lovely garden decoration. 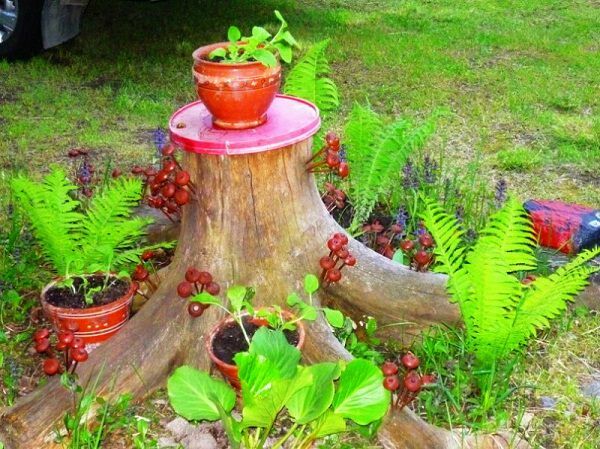 There are a lot of beautiful and cute garden decorations that you can make out of tree stumps. 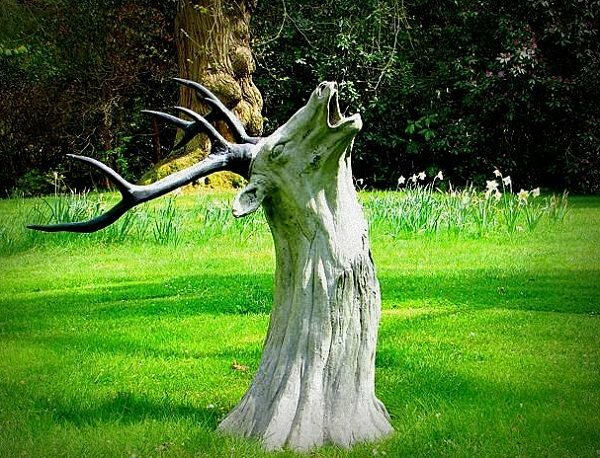 Go ahead and see these creative tree stump decorations and you will definitely change your mind about killing yours. 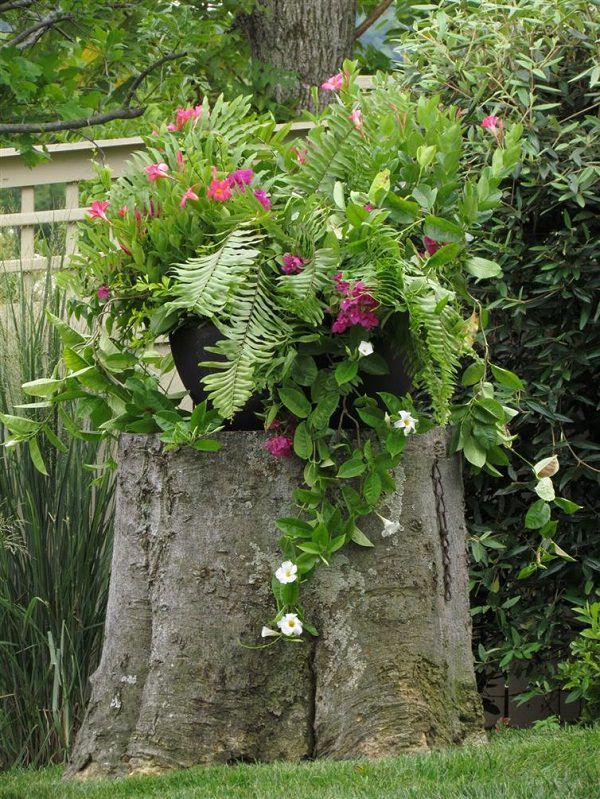 You can transform tree stumps into beautiful planters easily. 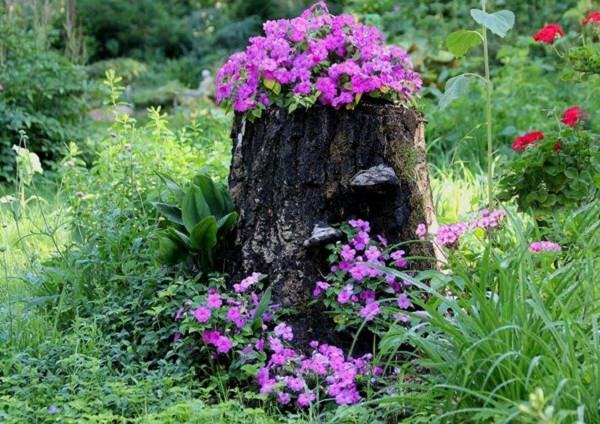 In fact, tree stumps make outstanding planters as they are rich in nutrients and organic matter. For more ideas, check out these impressive tree stump planters. This is one of the easiest Tree Stump Decorations. You don’t have to dig the stump and plant your plants but rather place your container garden on it. It will look fabulous. Tree stumps make fabulous pot stands. 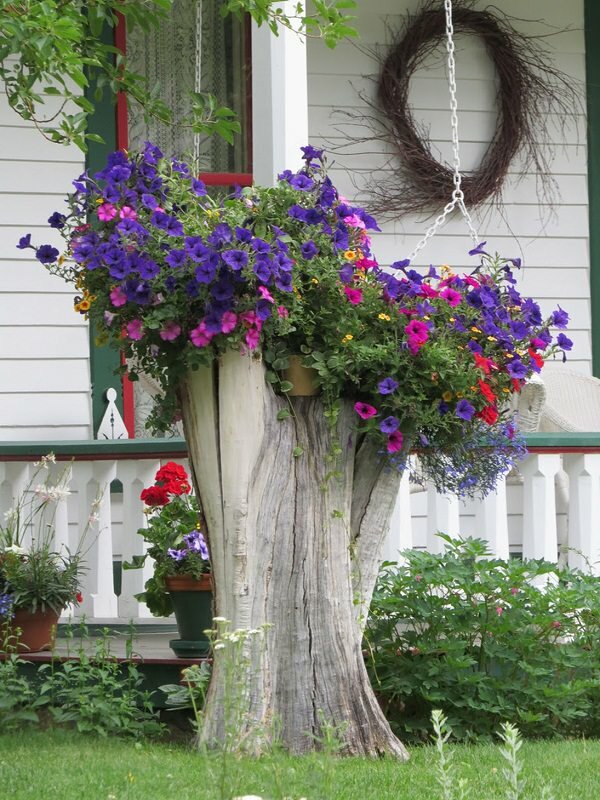 Place your pot on your garden’s tree stumps and your flowers will look amazing. 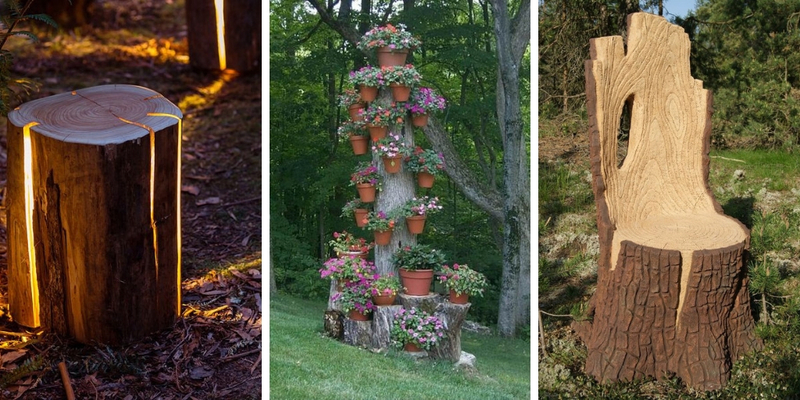 Have you ever thought of transforming your tree stump into an eye-grabbing flower tower? It looks stunning. 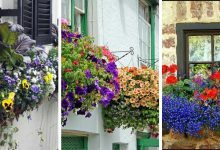 If you think this flower tower is gorgeous, check out then these ones. They will blow your mind. 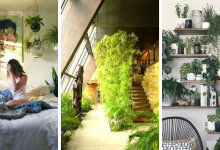 Surround your tree stump with some tiny artificial container gardens and you will enjoy an extraordinary view every time you step into your garden. 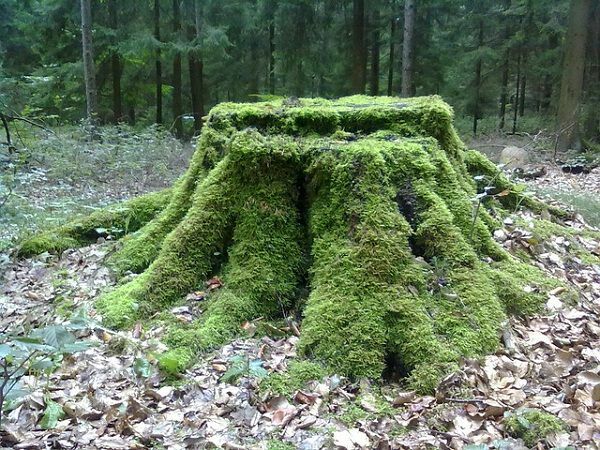 If the location of your tree stump is moist, dark and humid, then give it a fabulous ancient appearance by growing moss on it. 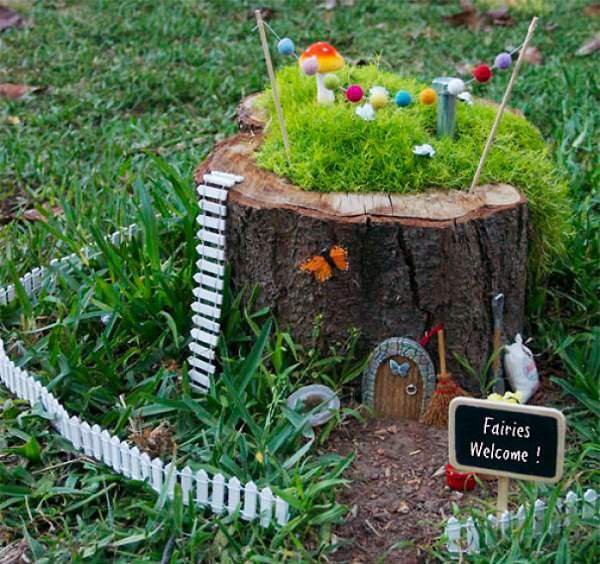 If you have some design skills, you can turn a tree stump into a fairy garden. 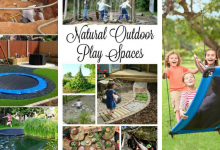 This project is fun and you can work on it with your kids if you have any. 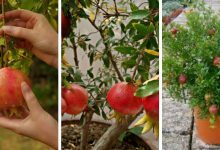 If you find fairy gardens beautiful, you will definitely enjoy these super cute DIY fairy garden ideas. 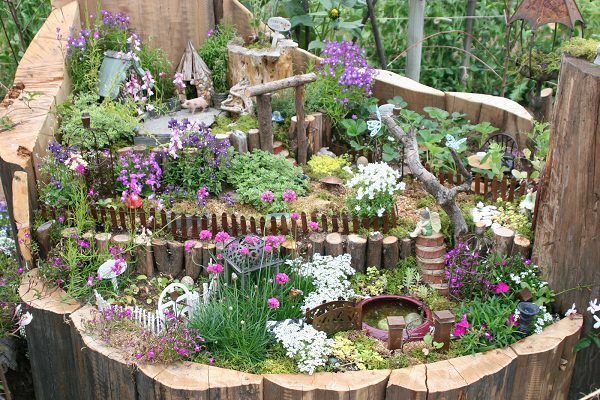 Isn’t this fairy garden looks majestic? It is made on a tree stump. 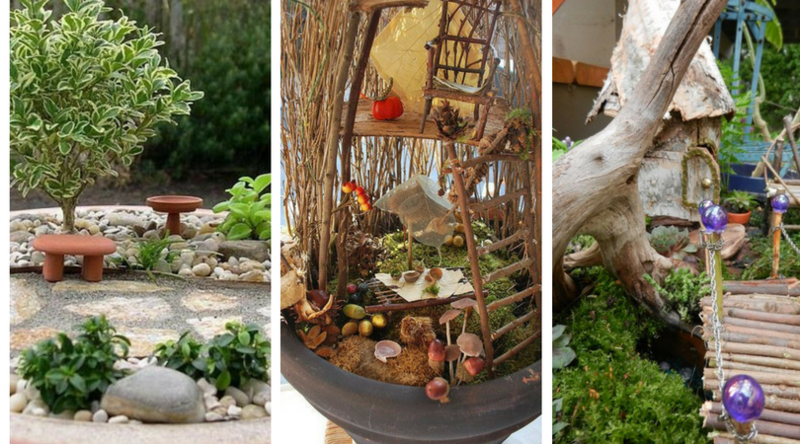 These are several ways to make fairy gardens, you will find some inspirations here. This is one of the most beautiful tree stump decorations. This tree stump is artistic. You can shape tree stumps into beautiful shapes and designs. 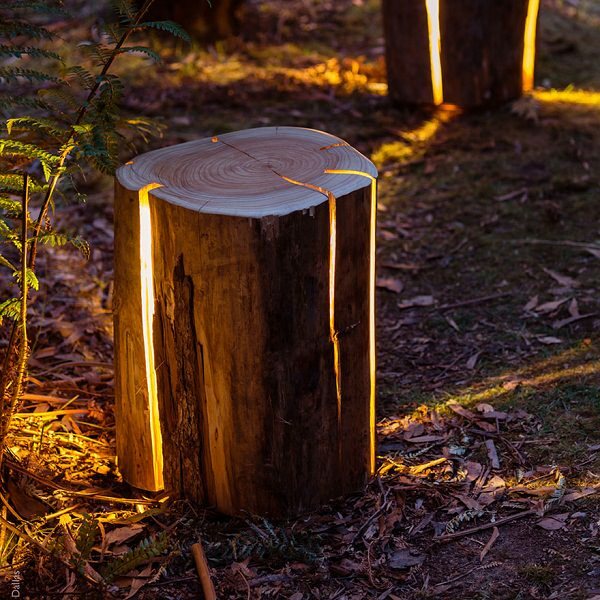 Show your artistic side by experimenting on your tree stumps. Even if you don’t create a masterpiece you will make the tree stump stylish and beautiful. Do you like to play chess? well then, play it in nature on your tree stump. 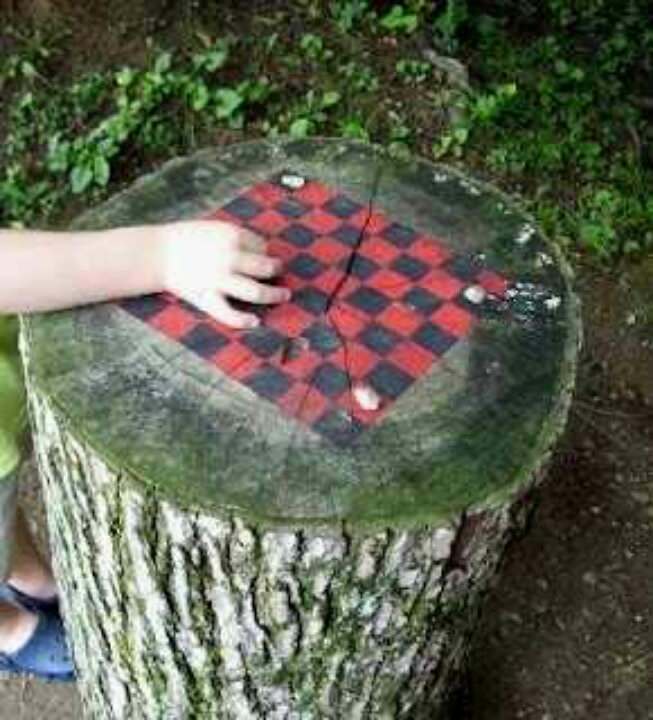 You can paint any board game on your tree stump and teach your kids how to play it. Board games are intellectual games and it is both healthy and fun for your kids. It is better than corrupting their minds with smartphones. 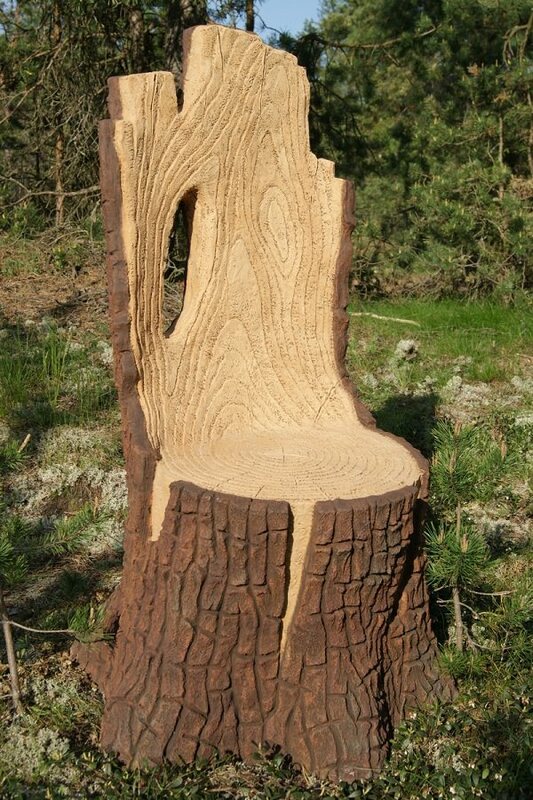 Gardeners need a chair in their gardens and instead of buying one, just make one out of your tree stump. Just look at this chair, it looks wonderful. 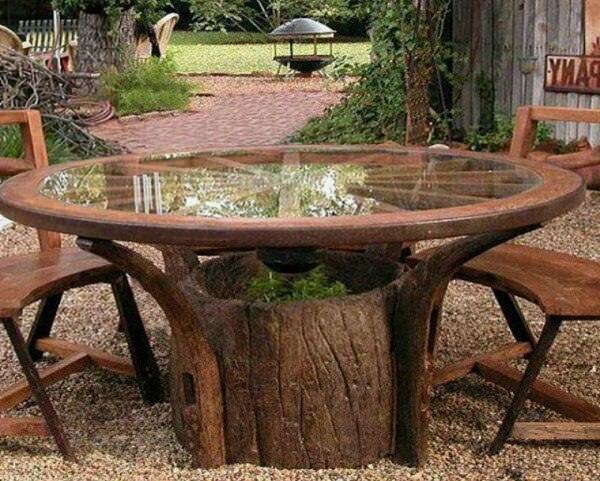 This a lovely idea to make use of your tree stump. 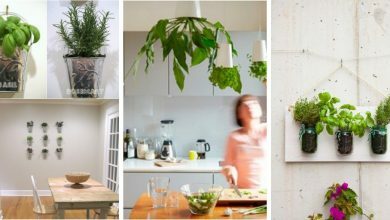 This idea is both decorative and functional. 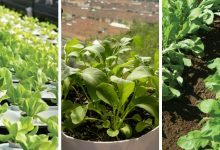 It will allow you to have a beautiful table in the middle of your garden. 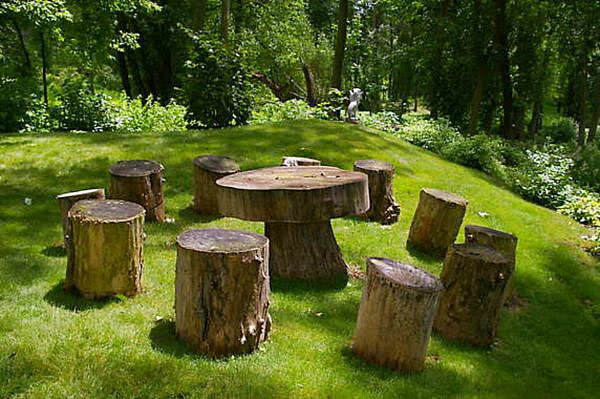 Make garden furniture out of your tree stumps. 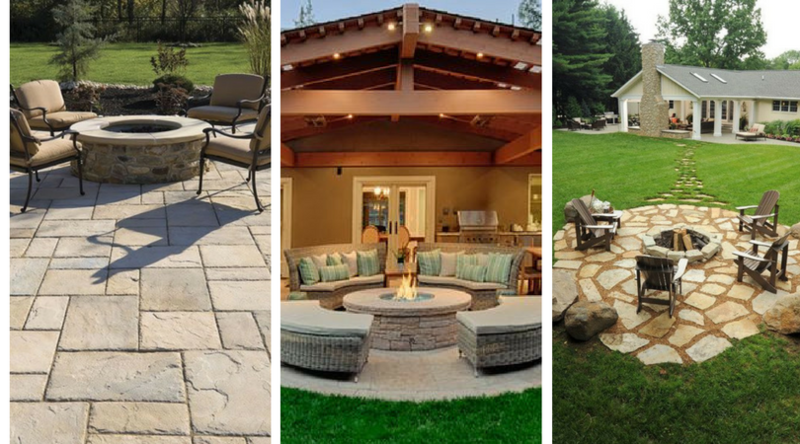 You can have chairs and table in different shapes and styles in your garden inexpensively. This will be a very good DIY project to work on. This is one of the most wonderful tree stump decorations. 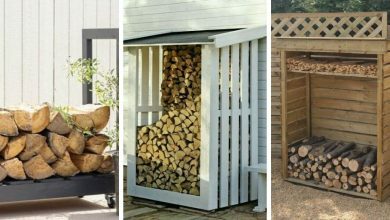 Lighten up your garden using your tree stumps. 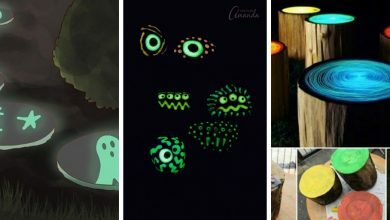 It will make your garden glow and looks magnificent in the dark. 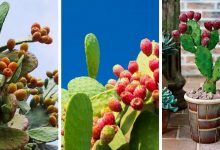 You can find similar ideas in this article. 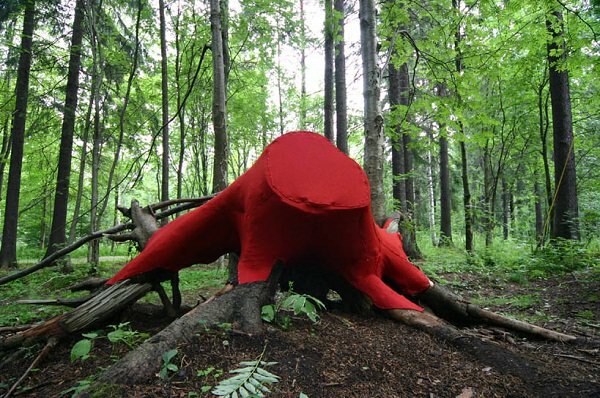 If you have excellent DIY skills, you can make a sculpture using your tree stumps. 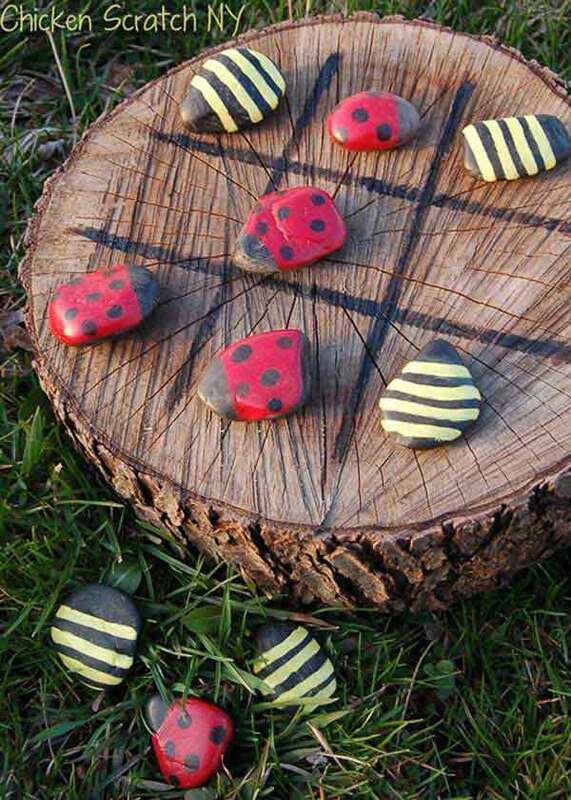 DIY Lovers will definitely love this idea. 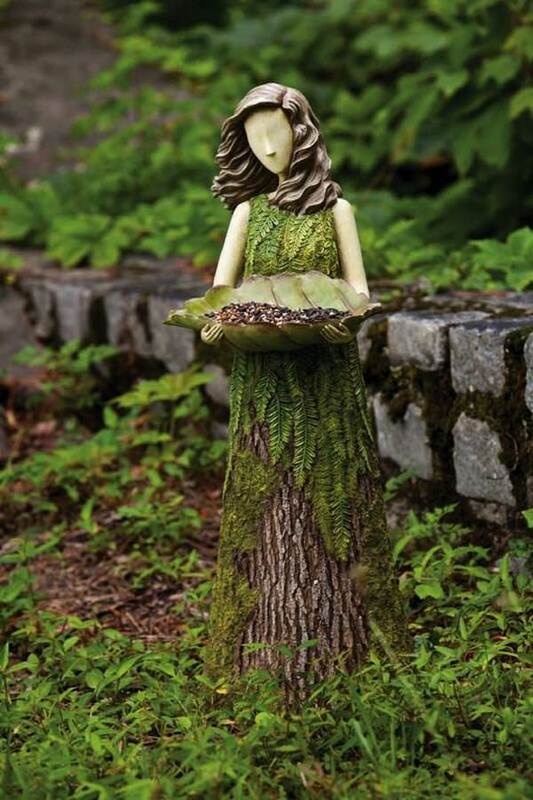 Transform your tree stump into an animal figure and wow everyone with your DIY skills. If you want to keep intruders and animals off your garden in a beautifully artistic way, transform your tree stump into this frighting scarecrow. 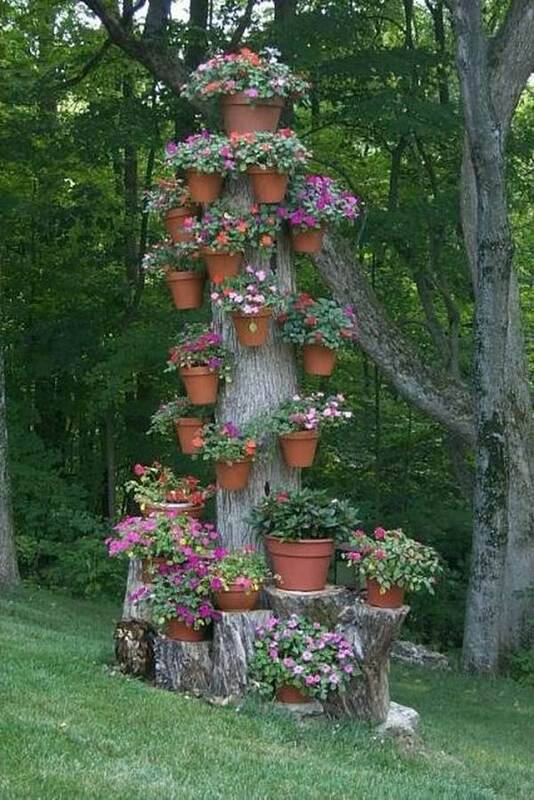 This is another great tree stump idea to decorate your garden. However, it requires certain skills and determination. This is one of the most fascinating tree stump decorations. 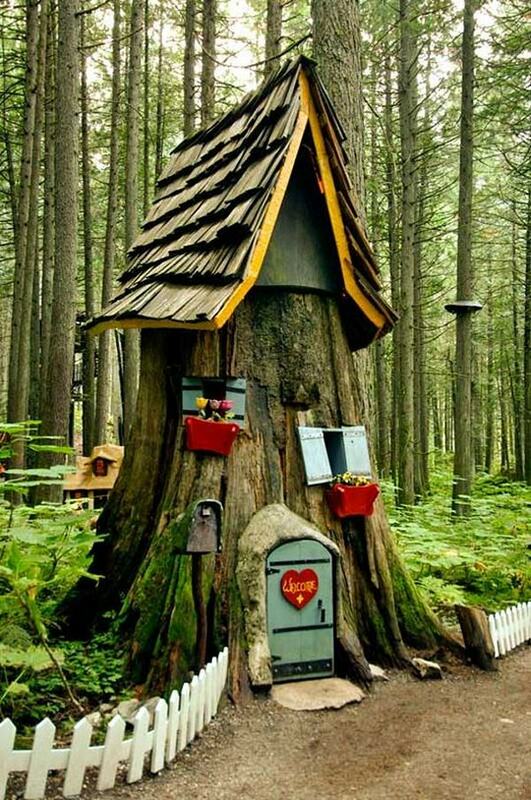 This playhouse is super cute and it will give your garden a fairy look. 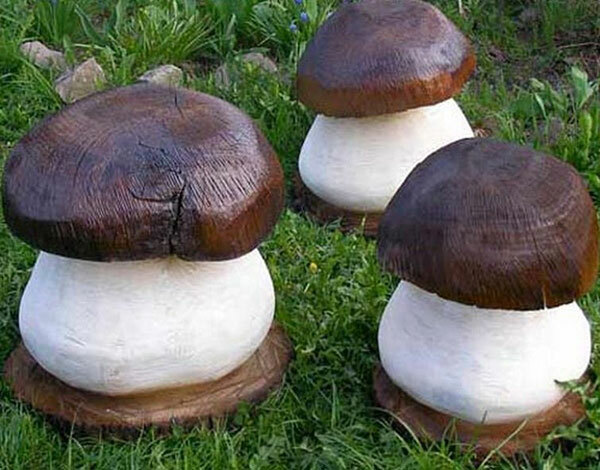 You only need simple items, time, and a tree stump to have it on your garden. 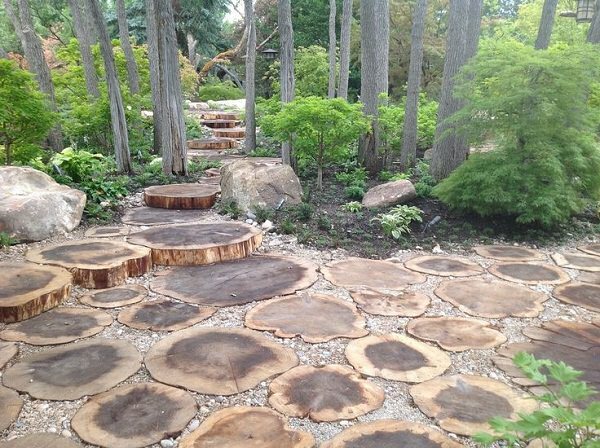 If you don’t want to keep your tree stump, chop it into round pieces and use them to create a path. 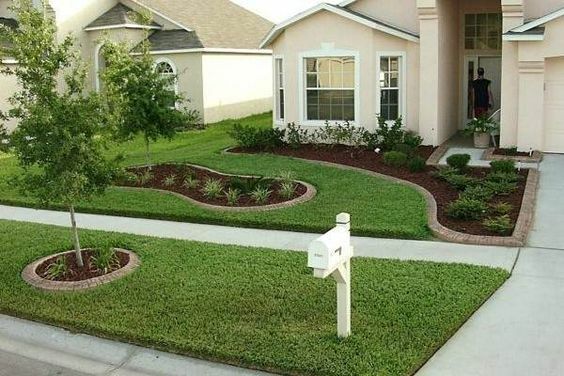 If you are interested in this idea, you should see these amazing DIY garden paths. 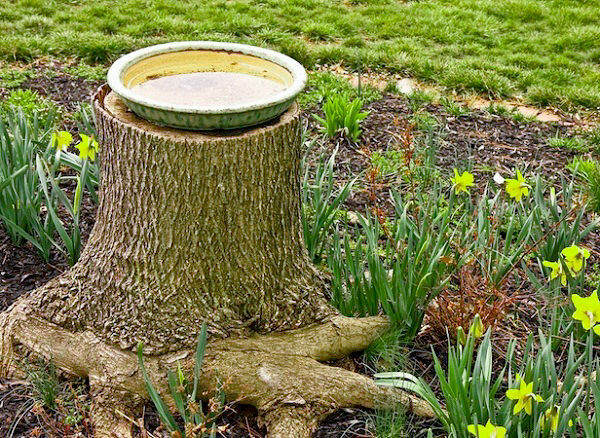 If you want to attract wild birds to your garden to enjoy their lovely voice, transform your tree stump into a bird bath and grow some plants that attract wild birds. 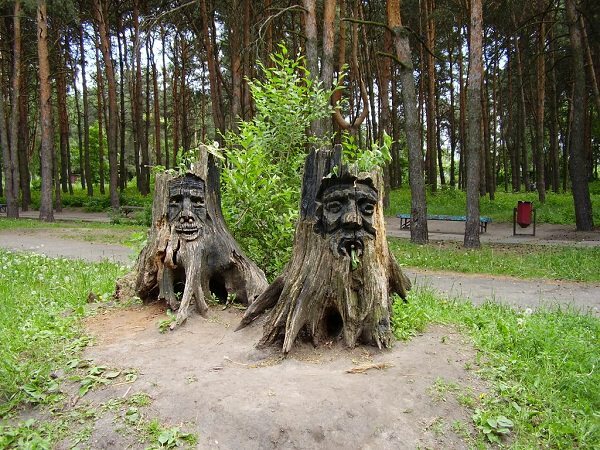 These are few of the best tree stump decorations. 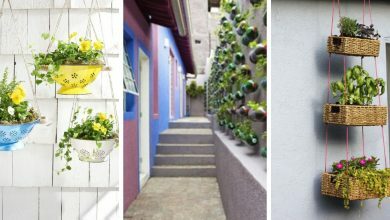 These ideas are beautiful, practical and most of all, they are DIY projects. I hope you have enjoyed them.